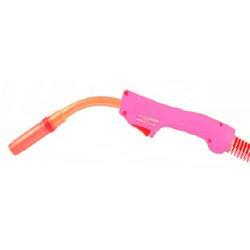 We are one of the prominent firms providing TBI Torches to its prestigious patrons. 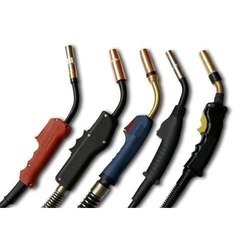 The range comprises Robo MIG TBi Robot Welding Torches, MIG/MAG Welding Torches TBi Classic, TBi MOG 70 Welding Torch, Classic MIG/MAG Welding Torches, Gauging Torch, MIG/MAG Absaugbrenner (Fume Extraction Torches). These are designed by our experts making use of latest technology and advanced machinery. Further, the final range I tested on various parameters by our quality experts to make sure a defect-free range is delivered to clients doorsteps. Being a customer focused organization, we are engaged in offering a wide and exotic assortment of Robo MIG TBi Robot Welding Torches. These products are manufactured by our team members using premium quality raw material, which is sourced from the trusted vendors of the market. Before dispatch, the finished range is checked on several grounds to make sure our valued clients receive a flawless range. These torches are acclaimed in the market for their easy operation, optimum performance and longer functional life. 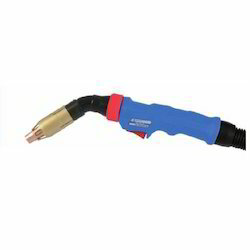 In order to fulfill the ever changing demands of our clients, we have been engaged in offering a quality range of Classic MIG/MAG Welding Torches. The entire range is suitable for various welding processes and is thus demanded in industries like chemical, power, engineering and construction. These Classic MIG/MAG Welding Torches are highly appreciated in the market for their high tensile strength, temperature resistance and low maintenance. 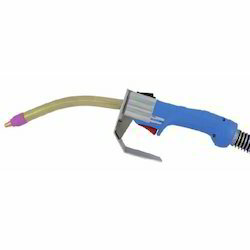 With our expertise in this domain, we are able to offer our esteemed patrons a superior quality range of MIG/MAG Absaugbrenner (Fume Extraction Torches). These products are suitable for various fume extraction processes in the industries. Our experts make use of latest technology and requisite advanced machinery to manufacture the offered range. Further, these are safely stored in our warehousing unit and thereby labeled and delivered to the desired location. Owing to our experience, we have been successful in catering to the requirements of our esteem clients by offering quality TBi MOG 70 Welding Torches. Made using premium quality material and latest technology, these products ensure longer functional life and optimum performance. The finished range is tested on various parameters at our quality testing laboratory to make sure the same is flawless. These products are available in various designs and specifications as per the needs of our clients. For more details or specifications please download the pdf.